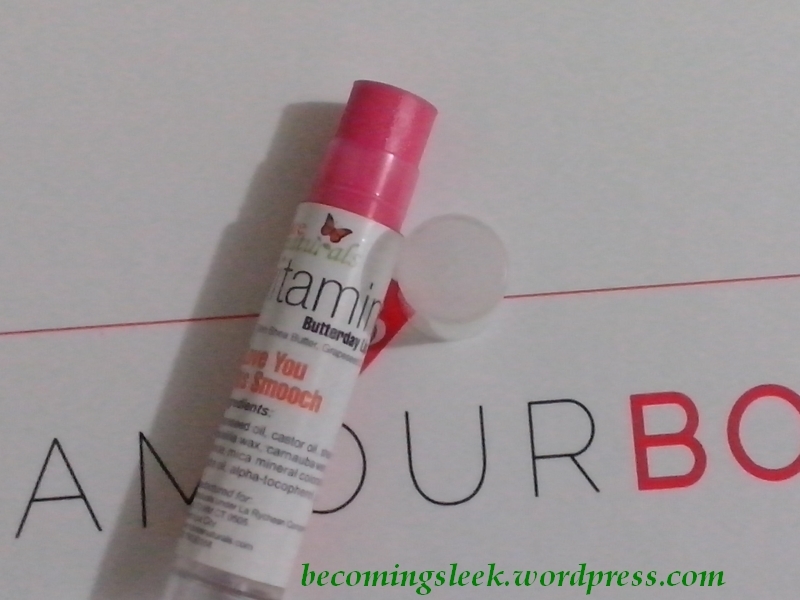 One of my new kikay kit additions is Barenaturals Vitaminstix in I Love You This Smooch. I got this from my June Glamourbox, and is one of two products from that brand. According to its label, this lip tint/balm contains shea butter, grapeseed oil, jojoba oil, and vitamin E. It comes in a thin plastic tube with a twist-bottom and contains 4g of product. This variant, I Love You This Smooch, is a sheer but buildable shade of pink that leans heavily onto red. Check out this swatch on my arm. 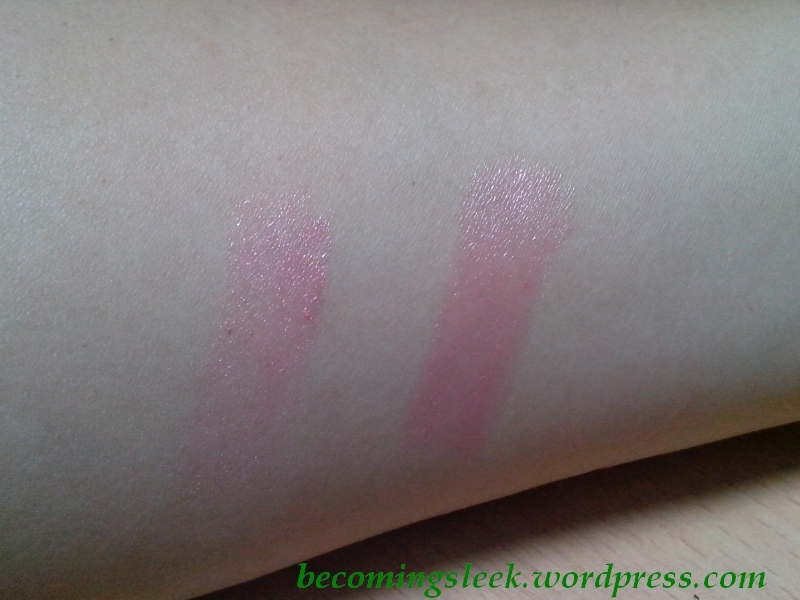 The left side is a single swipe of product, while the right side is three layers. You can really use it just for the balm purposes by putting just one layer on the lips, but you can also use it for its color by building it up. And here it is on my lips. I used the “color” version by putting several layers. I really like how it looks and feels on my lips. It’s not sticky at all, and it does keep my lips moisturized as promised. The color doesn’t really survive drinking or eating. I also like the fact that this is locally produced, and uses natural ingredients. I haven’t seen this brand in supermarkets or drugstores, but they have an extensive online shop at Zalora. You’ll never run out of reviews! haha! 😀 But yeah, this is a pretty awesome lip balm/tint. Didn’t notice the blueness. Maybe it works well with my skin tone. Yeah I love the smell of this!